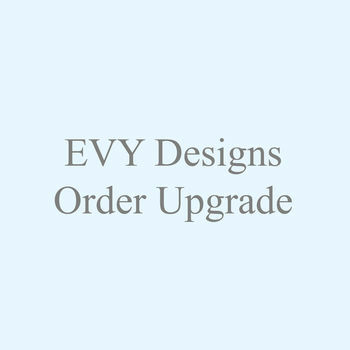 Would you like to upgrade your EVY Designs order? 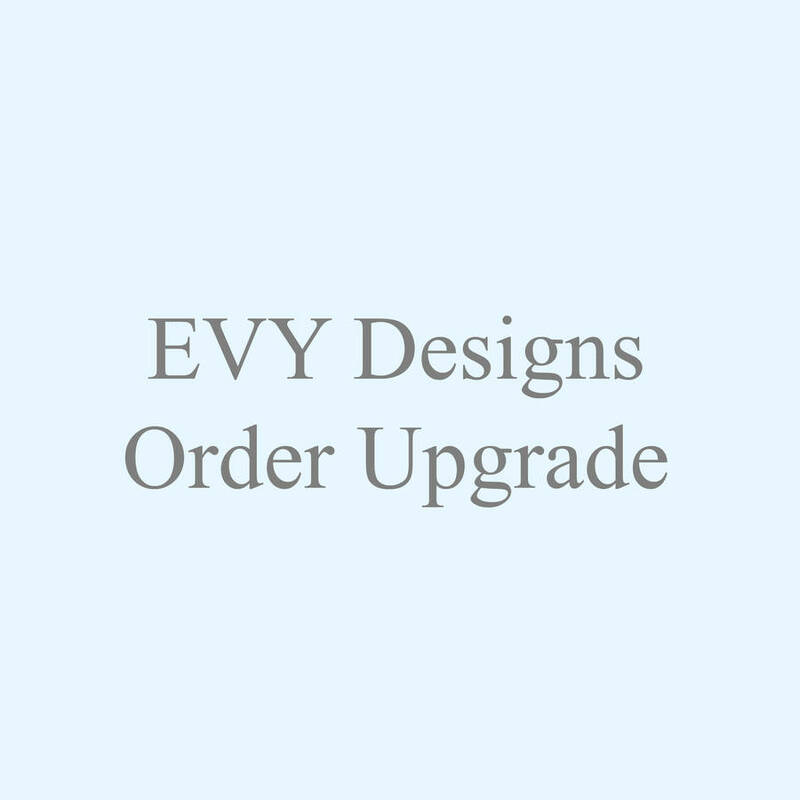 This listing has been designed for customers who have already placed an order with us at EVY Designs and who wish to upgrade their order and therefore need to make an additional payment. Please select from the drop down menu to upgrade your order. - Please note if what you require is not available please contact us through your order enquiry and we will be happy to add your request. Please add your order number so we know which order to assign the upgrade to. PLEASE NOTE- Dispatch date of your order upgrade will not effect the dispatch date of your product order. Please refer to your order details for confirmation of your dispatch date. This product is dispatched to you by EVY Designs.